U.K. real estate is beginning to shake from the Brexit earthquake. Investors are pulling money out of commercial property, and shares in housebuilding companies are falling fast. 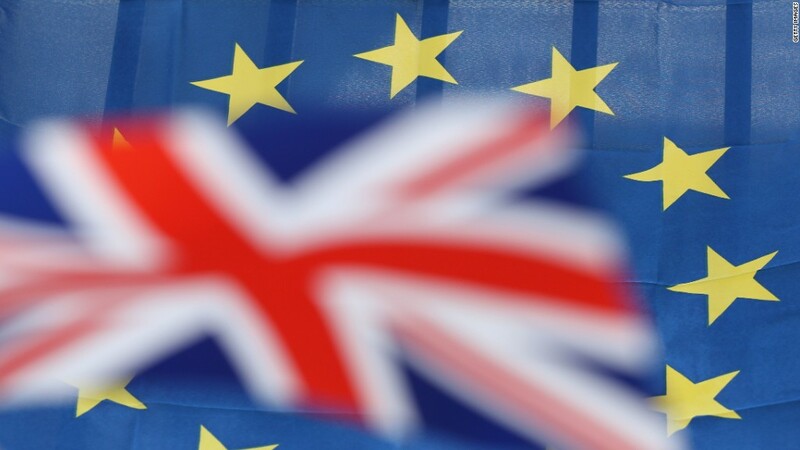 Three big asset management firms have halted trading in real estate investment funds in the last 24 hours, the latest sign of turmoil since the U.K. voted to leave the European Union on June 23. The funds are heavily exposed to offices and other prime commercial property that can't be unloaded quickly enough when nervous investors want their money back. Standard Life halted trading in its fund on Monday because of "exceptional market circumstances." Aviva Investors followed Tuesday, suspending its fund due to a "lack of immediate liquidity." M&G Investments said it suspended trading in M&G Property Portfolio because "investor redemptions have risen markedly" since the Brexit vote. Markets responded swiftly, sending the pound to $1.30 against the dollar. It has fallen 13% since the Brexit vote. Shares in building companies were also slammed, with Barratt Developments, Taylor Wimpey (TWODF) and Berkeley Group falling between 6% and 9% in London. All three have seen their stock price plummet by more than 30% since the U.K. referendum. Analysts say the tremors in the property sector are being fueled by huge uncertainty about the economy ahead of Britain's divorce from Europe, and the possibility that foreign investors and companies might abandon the U.K. It's a remarkable shift in sentiment for a market that once appeared unstoppable. In the wake of the global financial crisis, U.K. real estate stabilized quickly. Then, ultra-low interest rates and a flood of foreign money pushed prices through the roof, particularly in London. The government, worried that homes were becoming unaffordable, recently slapped new taxes on transactions in an effort to curb prices. But those measures could turn out to be small potatoes compared to Brexit. Demand for property fell to a three-year low in May, according to the National Association of Estate Agents. The group said that an average of 304 house hunters were registered at each real estate office during the month, a decline of 21% from 2015. Much of the speculation over what happens next focuses on foreign investors, and whether they will continue to splash out on apartments and landmark buildings in central London. Early signs suggest they're getting cold feet. Last week, Singapore-based United Overseas Bank said it would stop providing loans for London property purchases because of uncertainty following the referendum. But the bank's decision could turn out to be an outlier. Real estate agents say other potential buyers are salivating over the pound's steep decline, and the instant discount it grants anyone with dollars to spend. Ed Mead, executive director at agent Douglas & Gordon, said that his firm has seen a sharp uptick in inquiries at the top of the market, nearly three quarters of them from overseas. "There is a feeling that overseas buyers will not be able to resist the currency temptation," Mead said. In London, where 80% of buyers are U.K. residents, there are other factors that could prevent a market crash. The city has severe restrictions on where homes can be built -- greenbelt spaces such as parks and golf courses are off limits, and new buildings cannot obstruct landmark views. Interest rates may also play a factor. Most economists expect the central bank to cut rates in an effort to boost economic growth, perhaps as early as this month. That could encourage buyers to take the plunge on a mortgage. "I think a lot of people are wondering whether it's the calm before the storm, or the calm before the calm," said Mead.